This remote Alaskan town is 60 miles west of Juneau and is only accessible by plane or boat. The town is near the best outdoor features that Alaska has to offer: Great fishing, whales, mountains, glaciers and icebergs. When you are up here you are able to escape the busy life you had back home and take in the serene outdoors. The town itself is very young due to the fact that the glacier that filled Glacier Bay only a few hundred years ago covered present-day Gustavus. Before the town was established, the Tlingit Indians used the area for fishing and gathering local berries. Before the town got its official name, it was called Strawberry Point, due to the wild strawberries that grew in the area. The town officially got its name in 1925 from the new post office. The most popular attraction is Glacier Bay. Many cruise ships and tourists come to these parts just to see the huge carving glaciers. At times, ice the size of a house can carve off the glacier and crash into the water creating waves that will even rock the biggest cruise ships. When you look around you see 15,000-foot mountains capped with snow, and deep green forests line the coast. The most recent landmark that was added to Gustavus is the new dock, which was completed in 2011. Gustavus also has an airport with a small terminal to bring in all of our summer visitors. 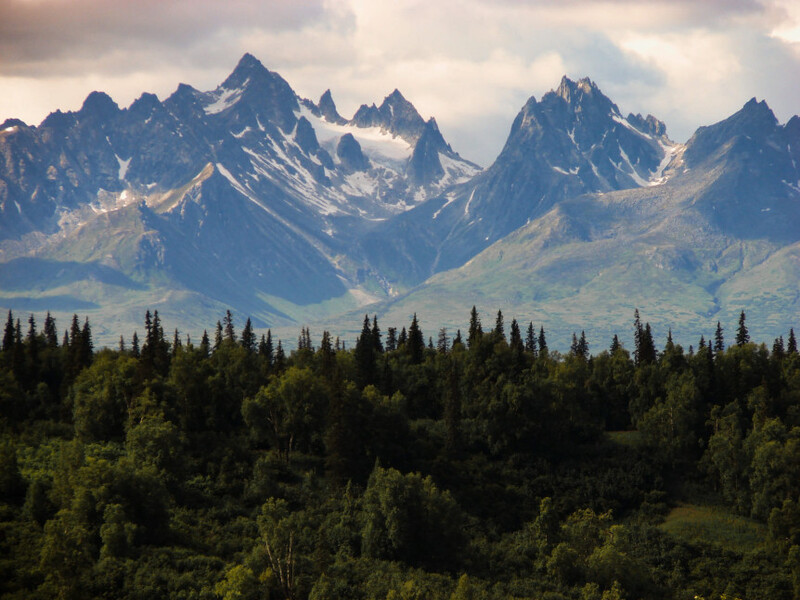 There are plenty of hiking trails to experience the real Alaskan bush and see the wildlife that roams around. Here is a simple map to help get you around. We want you to come and experience our little town of Gustavus and see all the beauty it has to offer. Book your trip today and join us. Alaskan Anglers, I spent last week with you with the Ayers group and wanted to send my thanks for another great experience. It was my 5th trip to Gustavus and it again met all of my trip expectations. for us every day. I enjoyed his guidance very much and his passion for success . He never got frustrated and always kept me intrigued with his knowledge. This may have been my last visit. I had only planned on one trip to Alaska but David kept wanting more. I just couldn’t refuse. ! Feel very fortunate to have experienced it again. Thanks again to all. I had to write to you good folks. July 16–23 we spent in your fishing mekka. My son n law his dad and me had the most awesome time at Alaskan Anglers Inn. It was a bucket list trip fulfilled beyond expectations. The staff , the food , the fishing was off the hook.! Jason our captain on the “Chilcat” was very good and knew his stuff. Thanks so much for a wonderful experience . Now my new bucket list is to come back sometime.! We were trying to get more info on fishing trip, but I keep getting oops page. Can you send us a link or more info.